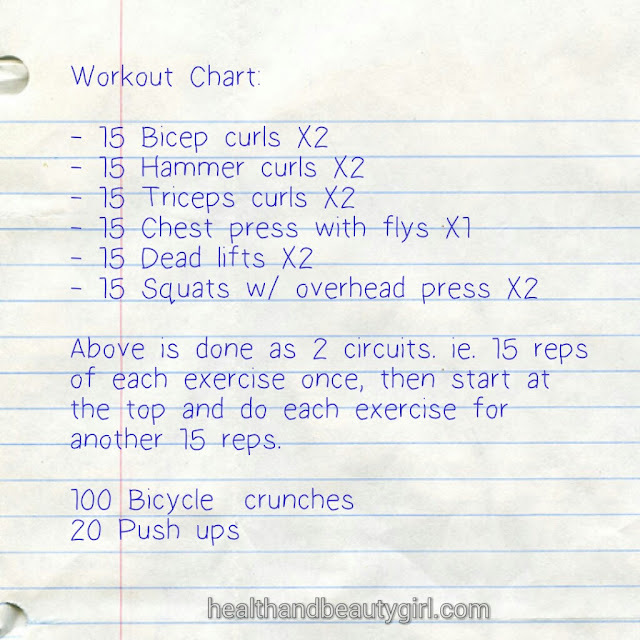 Health and Beauty Girl : Week 14: My Health and Weight Loss Journey to Get Fit and Lose Weight! Week 14: My Health and Weight Loss Journey to Get Fit and Lose Weight! 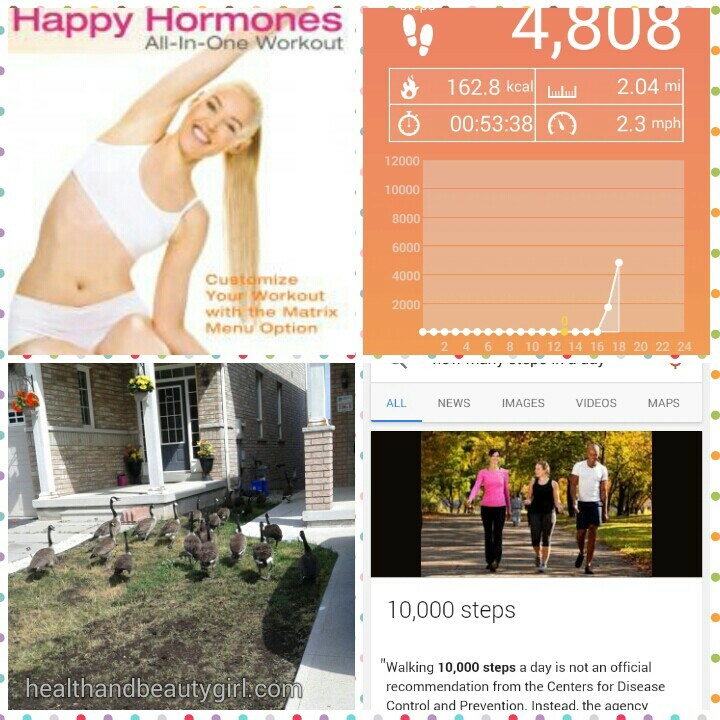 Welcome to week 14 of my Health and Weight Loss Journey to Get Fit and Lose Weight! If you missed last weeks post here is a link to it. Read on to see what I accomplished this week. I found this on Google and found it interesting. As you can see, it recommends that adults engage in 150 minutes of moderate activity a week. Based on this, If I exercise just 30 minutes a day for 5 days a week, I've met these guidelines. Doesn't sound too bad to me. This isn't to say that this is the "gold standard." But, it's at least a guideline for a minimum to strive for. 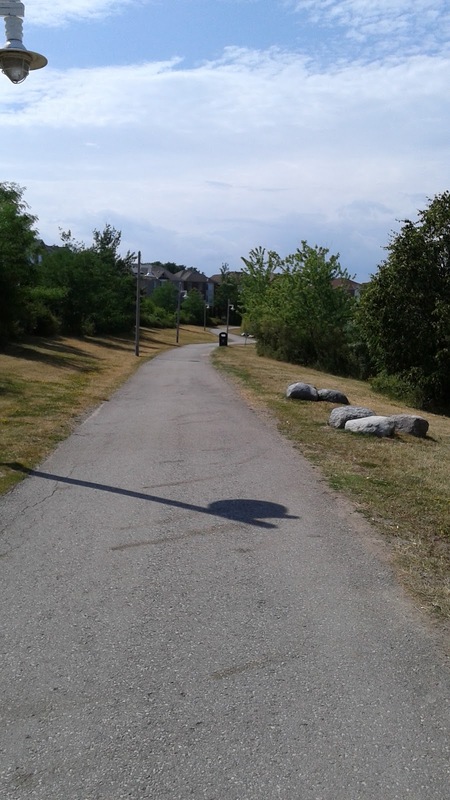 This week I continued with my walks, even with the sweltering heat. I'm continuing to use the free pedometer app, which I'm loving. 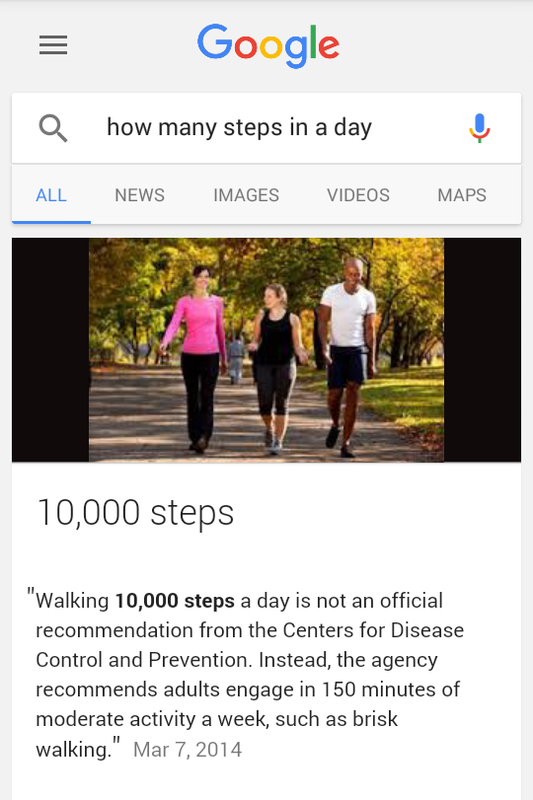 I usually walk about 2600 steps during my 25-30 minute daily walks. 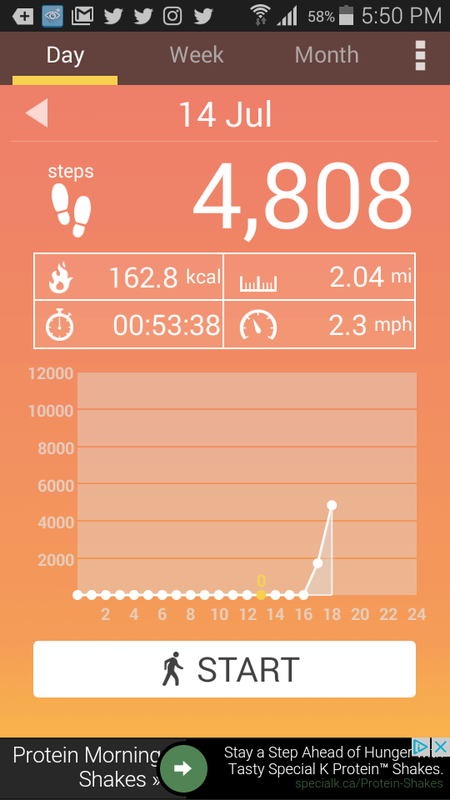 I walk an extra 2000 steps on the day shown in the above screenshot of my pedometer app. 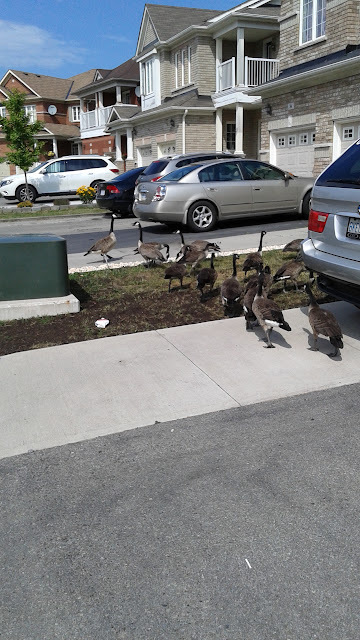 I decided to walk to the store that day to get a few groceries. Save on gas and get some extra exercise in... why not. Most days I continued on my usual route. Coming home one day, I spotted this flock of geese. 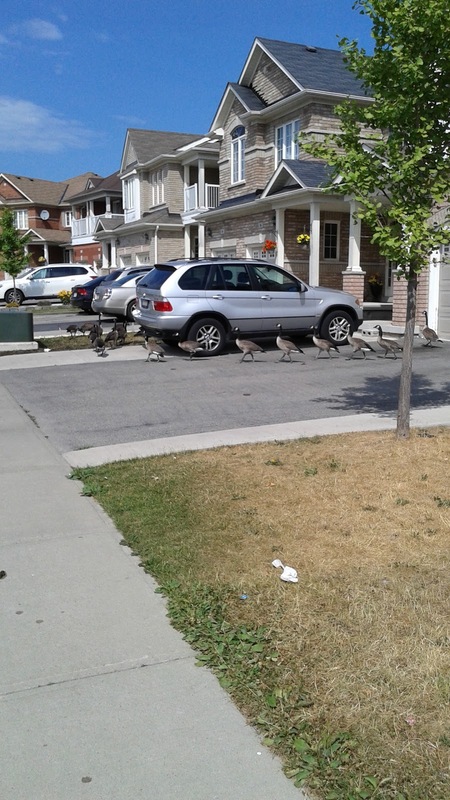 I guess they got lost and headed into someone's backyard. 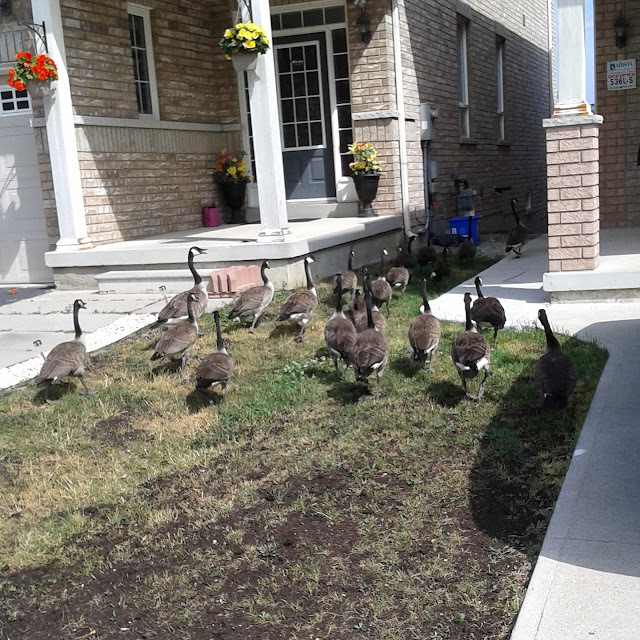 I'm glad it wasn't my yard as they poop everywhere! Not that I don't feel for my neighbours. 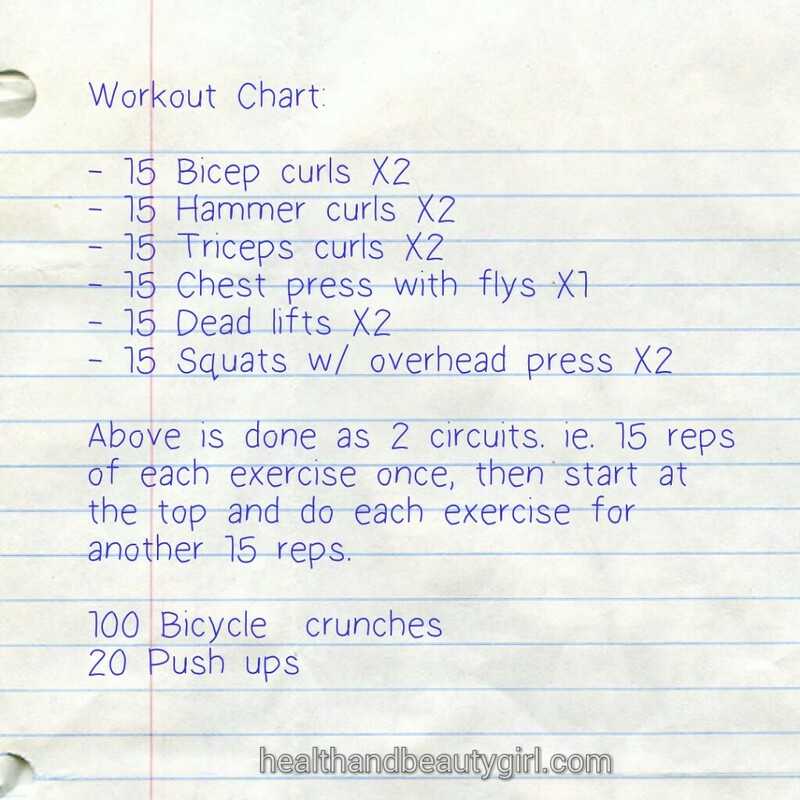 I'm including my weight routine chart again as I've continued with this routine regularly. I strive for every other day, and I currently use 8 lb weights for all exercises. I also got a new DVD to try out. It's another Kundalini Yoga DVD by Ana Brett called Happy Hormones. I just got it so I'll let you know how it goes. Let's hope it gives me happy hormones! Being in my 40's, I can use all the help I can get in that department. I exercised 4 out of 7 days again this week. And, here we go with the scale again, up and down every week resulting in no weight change on the whole. I'm going to incorporate my new Happy Hormones DVD next week, so we'll see if that makes a difference. Let me know in the comments what you're doing to stay in shape? PS. come and join all the blogger fun over at The Best of Blogosphere!